Networks are key to anyone’s career advancement, but this is especially true for women, who are underrepresented at all levels of business, from first tier managers to the C-Suite. 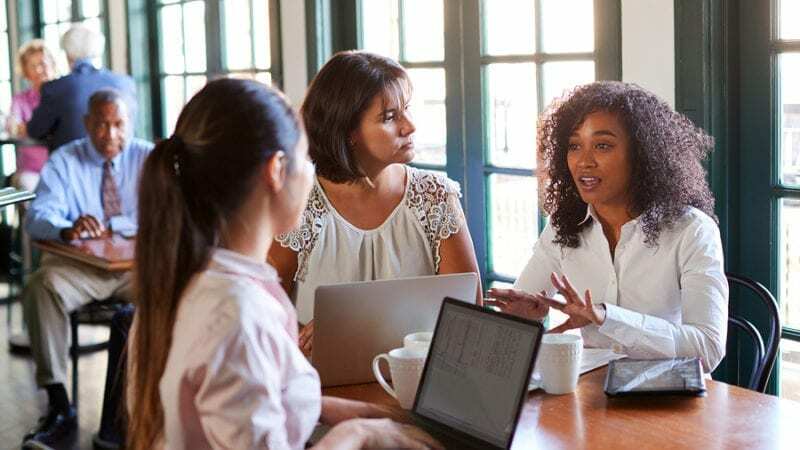 That means peers and colleagues aren’t readily available in the workplace, and a woman must step outside of her daily professional connections to find the support and quality networks that she needs. 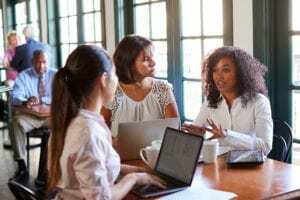 Even though women are strong collaborators and communicators, we tend to have fewer business-related connections than our male counterparts. We also tend to divide the connections we do have into personal and professional groups, with less evident overlap than men. This presents some challenges when it comes to building or advancing our careers. For women it isn’t the size of the network that matters, it’s the type of connections that make a difference. Thankfully, a woman’s most formidable strength is her ability to build relationships. This is what networking is really about, not just connecting on LinkedIn, trading cards, or getting business leads. True networks are built on commonalities and trust. You can’t predict when someone you know might make a connection to help you in your career or your life, or when you might help someone else with a referral. The depth and breadth of your network also build a personal and professional safety net, and the connections themselves can bring great joy and satisfaction. We also share the story of Paige Oxendine and Rachel Anderson in the book, In This Together, who were united in a determination to make a difference and show what women can do. They noticed that the leadership of almost everything in their Springfield, Missouri, community could be characterized as overwhelmingly “male, pale, and stale,” and they asked, “Where are all the young women and minorities? With a grant from the Women’s Foundation in Kansas City, they set up a women’s network, which they named Rosie, and held their launch party the week after the November 2016 presidential election. The realized they’d struck a nerve when more than 200 women showed up. Today, Rosie provides a support and advocacy system, as well as a referral pipeline for female speakers and board members. Their mission is to help connect, partner, collaborate and continue to increase the support and access to resources for women as it relates to professional development, business assistance and leadership, and they support, assist and serve as an advocate network for current and prospective female founders, business owners and leaders in the Springfield region. To build a network that will help you through the good days and bad, and help you continue to advance, think quality over quantity. It’s less about how many people you know, and more about who those people are. Uzzi also recommends that you embrace randomness and diversify your network and inner circle. Ultimately, you have to put your skills to work and build a network with purpose and focus on connections that can be mutually beneficial. We’re in this together, and we, as women, have a lot of momentum. As we intentionally continue to connect and support one another, we can reach our professional goals, and build a workplace that works for women and men. Order Dr. Nancy’s new book today! 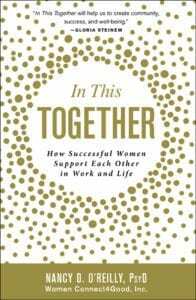 In This Together: How Successful Women Support Each Other In Work and Life, is filled with thoughts, advice, and stories from 40 successful women across a variety of careers—from authors to actresses, CEOs and professors—encouraging women to support each other in the workplace and in life. Ready to learn about action plans on how all women can work together to break free from the binds of gender inequality? Order your copy – and gifts for your friends today! Did you march on post-inauguration Saturday in 2017? If you did, you engaged with 4.6 million people in 642 cities on every continent on the globe who demonstrated for women’s rights. One year later, women recognized that anniversary, and once again used the streets to express their concerns. 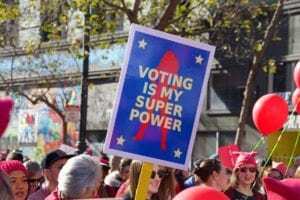 Proving that there is power in numbers, hundreds of thousands of women gathered in major cities and small towns around the globe, sharing messages as diverse as the marchers. 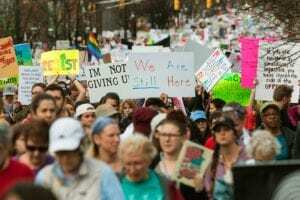 This year, as women again took to the streets marking the third anniversary of the Women’s March, the messages seemed even more diverse, and participants even less cohesive than in prior years. Since its inception in 2017, the Women’s March has been dogged by accusations that it does not speak for all women. As Gloria Feldt pointed out, while the 2019 iteration fielded respectable showings in major cities around the world, there is no question that some wind has gone out of its sails. 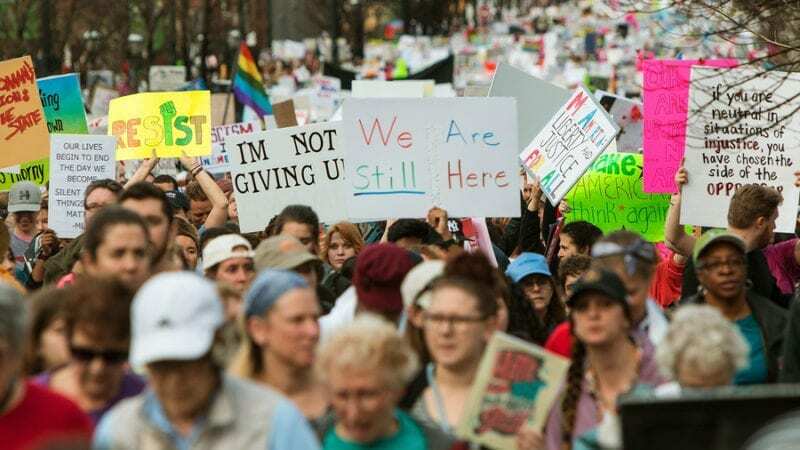 Many expressed concerns leading up to the 2018 Women’s March too, voicing fears that the movement lacked the cohesiveness necessary to move forward. Experts warned that there were too many special interests and too many different messages represented to truly affect change. However, what’s important to remember is that it has brought change and done what it was established to do. The Women’s March aimed to engage women from all walks of life and inspire them to continue their activism long after they returned home. In many ways, that goal has been realized. Despite fractures and differences of opinion, the Women’s March is not doomed to fail. Since the early 19th century, the women’s movement in the United States has fractured along lines of race, class, age and religion. Yet strategic coalitions among these feminists have generated important victories for women’s rights, showing us that the divisions within the Women’s March do not represent an existential threat to the feminist movement. As we wrote in In This Together, for more than 200 years, women have organized, fought, campaigned, sacrificed, and supported each other to gain the rights to inherit property, to keep their children, get an education, pursue a career, vote, hold office, and the list goes on. Although they often received no credit, women whose intersecting identities left them marginalized with less privilege have nonetheless continued to lead the movements for women’s equality. It’s time to follow their lead. It’s time to exercise all those hard-won rights to achieve true equality now. Two years ago, thousands of women threw themselves into activism for the first time in their lives, and the march events provided a rare chance to build networks of like-minded people. These networks formed in 2017 have grown and expanded, and the women involved remain active. Clearly, this is our time, so let’s keep the actions and momentum building. Let’s ask for what we want, support other women in exercising our “power to,” and believe in our abundant ability to change the world, together. Gloria Steinem has said Dr. Nancy’s new book will “help us create community, success, and well-being.” Find out why and order your copy (and gifts for your friends) of In This Together: How Successful Women Support Each Other In Work and Life–thoughts, advice, and stories from 40 successful women across a variety of careers—from authors to actresses, CEOs and professors—encouraging women to support each other in the workplace and in life. Learn about action plans on how all women can work together to break free from the bonds of gender inequality. Get engaged and stay engaged by reading and sharing the powerful messages for women in this new book. 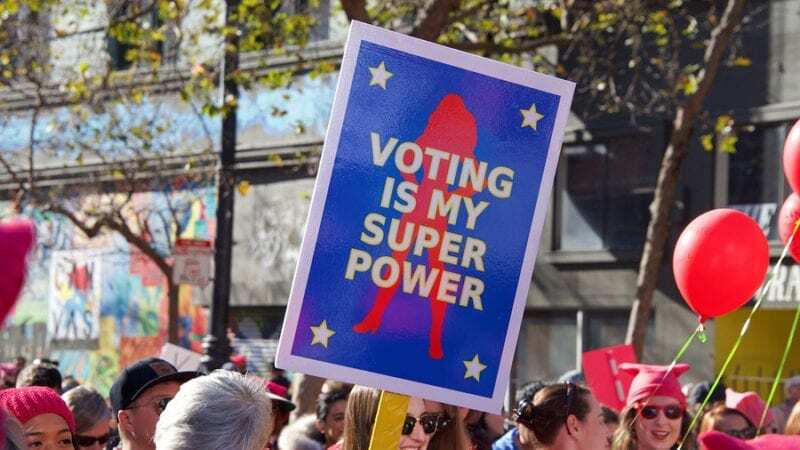 In 2018, women across the country were elected to a record number of local and statewide offices. The “Pink Wave” also swept across the nation in midterm elections that carried young women and veterans to victory in Senate and governors’ races and brought some major breakthroughs for women of color. Some of the big winners of the year were seasoned leaders, like Michigan governor-elect Gretchen Whitmer, and Kansas governor-elect Laura Kelly. But many of the toughest House races were won by political neophytes taking their first steps into electoral politics. Rashida Tlaib of Michigan and Iham Omar of Minnesota became the first and second Muslim women elected to Congress. Deb Haaland of Arizona and Sharice Davids of Kansas became the first two Native American women elected to Congress. Davids also made history as the first openly LGBT woman of color in Congress. Ayanna Pressley became Massachusetts’ first black congresswoman. New York’s Alexandria Ocasio-Cortez, a 29-year-old progressive, won in a shocking upset. Veronica Escobar and Sylvia Garcia became Texas’s first two Latina congresswomen. Lou Leon Guerrero became the first woman governor of Guam. Angie Craig became the first openly lesbian mother in Congress and the first openly LGBT member of Congress from Minnesota. Jahana Hayes, a former schoolteacher, became Connecticut’s first black congresswomen. Young Kim of California became the first Korean American woman in Congress. Marsha Blackburn became Tennessee’s first woman elected to the Senate. Janet Mills in Maine, Kim Reynolds in Iowa, and Kristi Noem in South Dakota became the first female governors for their states. The 2018 election cycle was also the first following the defeat of the first woman presidential candidate of a major party. In this cycle, many women saw a need to change the status quo and volunteered to run without being recruited. They also ran differently. Instead of putting on the power suit and spouting resume talking points, they featured their children in ads, offered personal testimony about sexual harassment and abuse, and opened up about family struggles, drug abuse and debt. Their openness connected with many facing the same struggles, and their authenticity paid off. A record number – at least 126 women so far ­– have won seats in the US Congress (three races remain uncalled by the Associated Press). A historic high of 43 women of color were elected to Congress, along with at least three who identify as LGBTQ. The number of women serving in state legislatures will exceed 2,000 for the first time ever. The number of women governors rose by 50 percent, from six to nine. These are exciting numbers and historic wins, but we clearly still have a significant leadership gap. As of January 2019, women will still represent less than one fourth of members of Congress, both in the House and the Senate. Although they will hold 28 percent of seats in state legislatures, women hold only 18 percent of governorships, and, as of August 2018, are less than a quarter of the mayors of America’s 100 largest cities. To be clear, women make up slightly more than one half the population. We must continue our support of women doing the hard work of holding elected office and encourage women to run and especially to run again. One defeat means nothing in a political career. EMILY’s List, VoteRunLead, and She Should Run all reported a huge surge in women interested in running in this cycle. These women who mustered their courage demonstrated that women are truly ready to lead, and that the people are ready to elect them in their communities, states, and nation. We need to celebrate these women who are paving the way, and help others follow their lead. We can also encourage and inspire our daughters, granddaughters, and young women in our communities. There are a number of organizations that will make good use of our time, talent and treasure. For example, Girls Inc. has chapters nationwide and works to inspire all girls to be strong, smart, and bold. The Center for American Women and Politics at Rutgers has an initiative dedicated to making women’s public leadership visible to the next generation, with programs set up nationwide, called Teach a Girl to LeadTM. The Sue Shear Institute for Women in Public Life at University of Missouri St. Louis prepares college women and has even hosted a Girls’ Summit for middle schoolers. Ask around in your community for opportunities to mentor and engage at a local level, and if you don’t find any, join with other women to start one. Ultimately, we want 2018’s “Pink Wave” to close the leadership gap and make our voices heard on every level. Women leaders change the game. We do indeed need at least half our leaders to be women, and by working together we can make it happen. Just think how that will change our country and the world! For gender parity to succeed, we need male allies at every level of government, in the workplace, and the communities we call home. The main argument for achieving women’s parity is that you only get half the results when you engage half of the population. So doesn’t it make sense, that the same is true in working for parity itself? It should be obvious that we’ll get there faster if we all work together, but the system that rewards sexism in the workplace and our communities is strong and works against us to keep the status quo itself working against closing the wage gap, assuming our fair share of leadership positions and achieving full equality. We must engage men (the other half of the population) in new ways, make them feel like they belong and help them understand their own benefits from women’s advancement, and shift their perspective of how they can help us get ahead. Men often don’t see the disparities, despite the fact that they have a larger stake in women’s equality than in the past. Many men today count on the financial contribution their wives make to the family economy, and they were likely raised by women who worked. They also want their daughters to succeed and will express outrage when the women in their lives encounter discrimination or barriers at work. But that personal perspective needs to be widened to a world view for them to truly understand the value of gender parity. To help our male counterparts become more aware and include them in discussions around gender equity in the workplace, Harvard Business Review (HBR) reports that some women’s conferences and employee resource groups are changing their approach by creating events aimed at men, and inviting them to attend. Their approach is based on evidence which shows that when men are deliberately engaged in gender inclusion programs, 96% of organizations see progress – compared to only 30% of organizations where men are not engaged. Do the math, an organization has a 66% greater chance of succeeding if men are “deliberately engaged.” That’s huge. In fact, this discrepancy illustrates that if we don’t work with men, significant progress is doubtful, and gender inclusion programs will likely fail. The evidence for parity just keeps multiplying. Take for example the pay gap. The Institute for Women’s Policy Research (IWPR) projects that the U.S. economy would generate additional income of more than $512 billion if women received equal pay. 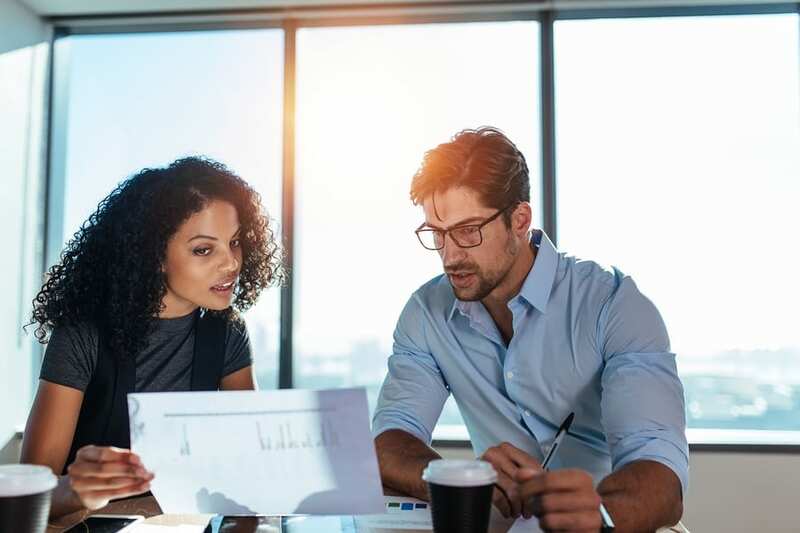 And if that doesn’t get your attention, a recent McKinsey study showed that stricter workplace gender equity practices could add $12 trillion the global GDP by 2025 (seven short years from now) with stronger workplace gender equity practices. $12 trillion dollars definitely makes the case for working together to change the status quo. That extra money isn’t just for women. Everyone benefits. Men too.We, yes women and men, need to recognize and acknowledge the gender inequality problem so that we can work together to correct it. Equal pay for equal work is a unifying goal that benefits all of us. Diversity and inclusion doesn’t just happen, and while we may have a group of men willing to stand with us, the impact of that system can keep men in their place, just as much as women. Awareness can give us the tools we need to work around it and get men to help us claim our fair share. However, not all male allies are created equally. Diversity consultant Jennifer Brown frames allyship on a continuum ranging from apathetic (no understanding of the issues) to aware (knows basic concepts) to active (well-informed, sharing and seeking diversity) to advocate (committed, routinely and proactively championing inclusion). We need to let our allies know, at all phases of the continuum, how much they matter. 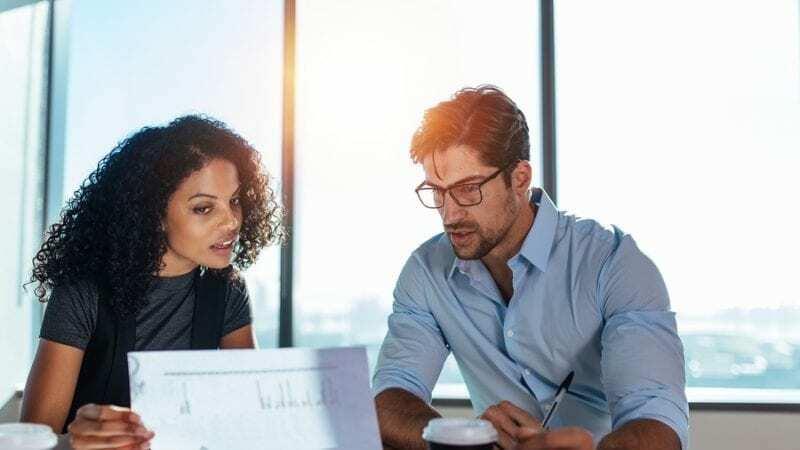 HBR reports that gender parity efforts are most effective when men believe they have an important role to play, that their partnership is valued, and that transformation of the workplace is something they can share in. Feeling accepted boosts male allies’ internal motivation to participate and further strengthens gender alliance efforts. Men are a great and necessary resource in advancing leadership opportunities for women in the workplace. It’s in all our best interests to make our companies as productive and profitable as we can. That’s why we all need to work together to change the status quo and make a real, daily commitment to working together to change the system to one that supports more balanced diverse management and workforce. Serena Williams recently made headlines after losing in the U.S. Open final match to Naomi Osaka. The news wasn’t based on how Williams played the game, but instead focused on a heated debate she had with an umpire that led to her getting slapped with a $17,000 fine. The entire interaction sparked a much larger discussion about the consequences of women showing anger and emotion. Why are women consistently penalized for expressing traits that their male counterparts exhibit regularly? While Williams’ anger may seem symbolic of women’s larger rage, it is important to look at how double standards like this recent incident play out in the workplace, and how that impacts women from every walk of life. Research has consistently found that there are big differences between the ways that men and women are treated for expressing emotions, and particularly anger. Men who express anger at work are perceived as higher status. Women who express anger at work, however, are perceived as lower status and less competent, and are also paid lower wages. Media and literature frequently reflect, and perpetuate, the belief that boys and men are angrier than girls and women — and that their anger is righteous and violent. That perception may be why men seem to get a free pass on exhibiting that anger at work. 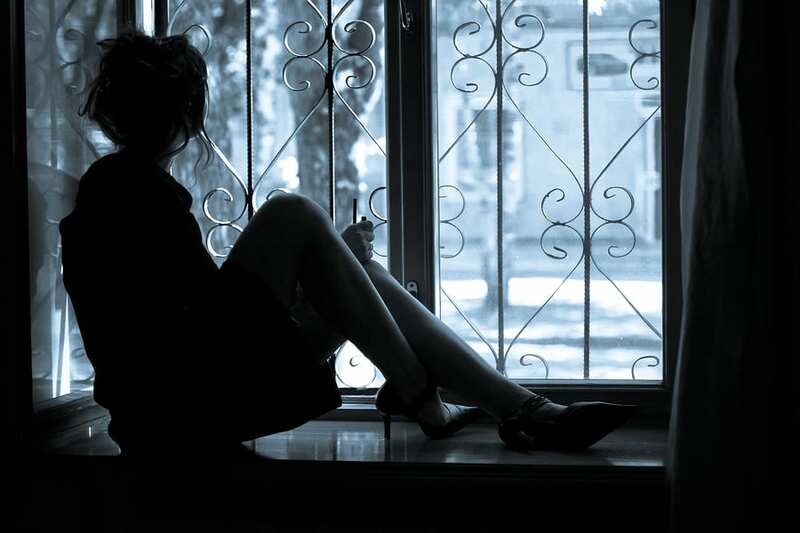 However, studies have also repeatedly shown that women report feeling anger more frequently and in more sustained ways than their male counterparts. In early 2016, a survey conducted by Esquire and NBC found that women reported consistently higher rates of anger. Another, conducted by Elle magazine two years later, revealed the same pattern. We all know that women are angry right now, and #MeToo, #TimesUp and the Women’s March are some of the ways that women’s long-simmering frustrations are boiling over. However, this anger is nothing new. Natalie Gil points out in Refinery 29, “We’ve always been angry – we’re underpaid, overworked at home and in the workplace, thwarted from reaching our potential and diminished.” It’s important to note that it doesn’t take a cataclysmic event to express anger in the workplace, it can be something simple and even routine, and something that may not warrant a second glance if a man were to point it out. The fact is, anger is a universal human emotion, and given that we are angry, like our male counterparts, the big question is, how can women overcome the negative consequences of expressing anger? And how can we work together to create a workplace that allows women and men to express emotion, and not be penalized unfairly? Perhaps the best way to create a workplace that works for all of us is to bring awareness to the fact that we all get angry and take steps to learn, individually and collectively, how to channel that angerappropriately. For example, if you’re angry at a situation, call that situation out, and discuss it with co-workers, don’t rain your anger down on those around you. We can also discuss, and perhaps even put policies in place, that allow men and women to express their anger in healthy, direct, non-aggressive and non-toxic ways. All explanation and justification is a waste of time. Once the anger has been felt, expressed and owned, impacted employees can look at the lessons our anger might teach us. Anger is usually an indication that you need to set a boundary, stop doing something that is no longer of service, change direction, face what is not being faced, or to just say no. Anger can be a great motivator, and we can use that to address the issues surrounding emotion in the workplace. While women have plenty of reasons to be angry and frustrated, it is important to keep in mind that we weaken our ability to make change if we allow ourselves to be derailed by our differences. If we can work together, women and men, to look at this situation, remove gender stereotypes, and have an honest and open dialog, we CAN change the workplace, and create an environment that works for all of us. The power that is unleashed when women help other women is becoming abundantly clear to everyone through the initiatives like #MeToo and #TimesUp. Women, speaking out in unison, are amplifying the voices of victims, who were once blamed for the crimes against them. Nearly every day, we witness the power shift as the once-powerful perpetrators are being removed from their places of authority. However, in other settings, women continue to remain distant and unsupportive of other women, maintaining the limitations of the glass ceiling for possibly brilliant women leaders, who struggle to get to the first rung of the ladder and advance their careers. Ann Welsh McNulty, co-founder and managing partner of JBK Partners, recently wrote in Harvard Business Review that some senior-level women distance themselves from junior women in the workplace in response to inequality at the top, and cited a study published in The Leadership Quarterly that found that the inclination to, “Separate oneself from a marginalized group is, sadly, a strategy that’s frequently employed. It’s easy to believe that there’s limited space for people who look like you at the top when you can see it with your own eyes.” She also reports that whereas many women are navigating alone, men are 46% more likely to have a higher-ranking advocate in the office. Return on Equity: 53 percent higher. Return on Sales: 42 percent higher. Return on Invested Capital: 66 percent higher. 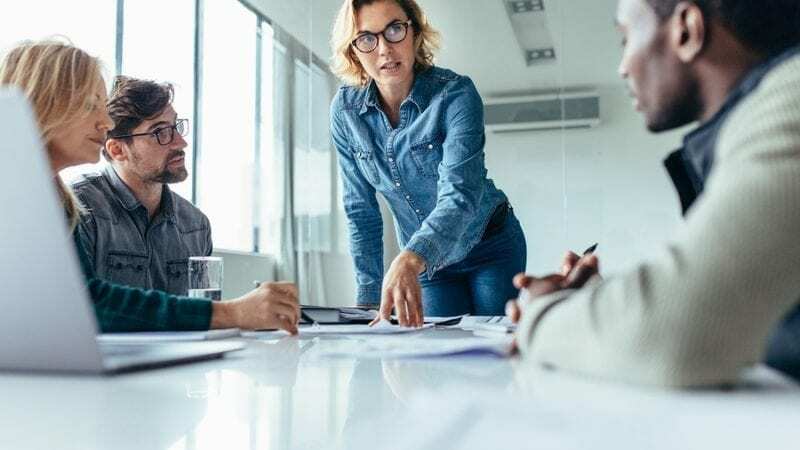 A recently published study from the Peterson Institute reports that companies with at least 30% female leaders—specifically in senior management—had net profit margins up to 6 points higher than companies with no women in senior management. That is a 15% increase in profitability. In 2015, McKinsey & Co found that companies in the top quartile of gender diversity are 15% more likely to financially outperform their counterparts in the lower quartile. McKinsey also found that companies with more balanced leadership do a better job recruiting and retaining talented workers, leading to cost reductions associated with replacing top executives. Women have a lot of momentum right now, and we can use that to work towards equality and advancement at all levels. There is more than enough room at the top, and as we climb the ladder we need to reach out to other women, and help them along. Just as #MeToo and #TimesUp are proving, when women connect and collaborate we can do anything. We prove it every day and we need to take note in these times, that the more we focus our efforts and support one another, the more of everything we can create, especially “pie.” Let’s focus on creating opportunities for all women. If we work together, we can change the workplace, and in turn, change the world. For decades, in order to make our voices heard, women in business strove to become members of the boys’ club. We mimicked how men thought, communicated, and even dressed. But now, for many of us trying too hard to tap into our “masculine side” has gone the way of severely tailored 1980s power wear (complete with giant shoulder pads), and a new study shows that we can and will continue to utilize our feminine strengths as gender equality in the workplace becomes more the norm. As women, we know that we think and communicate differently—which means that we also lead differently. A researcher at the University of Salzburg in Austria agrees and suggests in his recent study that men and women not only have particular personality differences, but those differences grow in nations that have the greatest gender equality. In addition to looking at personality traits, the study squared its findings against “gender equality” measured by the Global Gender Gap Index. The results showed that greater gender equality is associated with stronger expressions of gender difference. 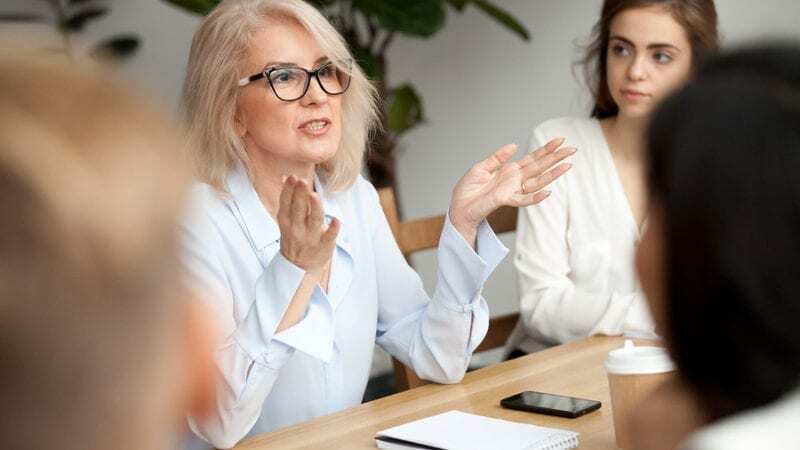 While the study’s author, Tim Kaiser says that it could be a “case of the personality adapting to changing societal conditions.” It could also be a situation where women are empowered to lead authentically as themselves. As it stands today, moving up the ladder is a competitive process, regardless of gender. However, to truly level the playing field, we need to create an environment where gender equality in the workplace is a given and ensure that advancements, promotions, and the entire workplace is free of discrimination and bias. Unconscious biases have a critical effect on our judgment and can stand in the way of women working their way into the C-suite. Gender bias stereotypes – surrounding men and women – can lead to unfair decision making. To eliminate that from the workplace and advancement process, we need to educate employees about how stereotypes work. Mary Lorenz writes in Career Builder that since we are not always aware of our biases, we do not realize when they are influencing our decision-making; therefore, education and awareness are key to moving forward. We also need to establish clear criteria before making decisions about hiring, promotion, etc. so that bias gets removed from the decision-making process.Research has shown the more formal the criteria are, the more women and underrepresented minorities will be hired. It’s also important to scrutinize that criteria on a regular basis and adjust and refine as needed. And more than anything, be transparent. With education, clear criteria, and diversity goals, it should be a no-brainer to post numbers. As Lorenz writes, keeping, “track of our progress in terms of how we’re doing in terms of gender diversity in our workplaces really causes people to be more thoughtful in how they’re making decisions.” Transparency and accountability are essential tools in creating a gender equal workplace. Because our natural skill set is increasingly valued in the global economy, we’re perfectly positioned to become today’s and tomorrow’s leaders. But in order for that to happen, and for women to have the opportunity to lead authentically, we have to level the playing field and work together to create a bias-free environment where women can use their unique skills and strengths to lead a more balanced and diverse workforce. Who makes the coffee in the morning at the office? Orders box lunches for a team meeting? Takes notes at said meeting? Collects money for a co-worker’s birthday party or signatures for a “Get Well” card? Is it you? Or another woman in your office? If you, or a female coworker, find yourselves doing a lot of thankless, busy tasks around the office because no one else will, it’s time to stop. Too many women who get stuck taking the responsibility of covering household duties at home, take these self-imposed responsibilities right into the office. It’s important to point out that taking these tasks on will not necessarily ingratiate you to upper management. In fact, Sheryl Sandberg and Adam Grant wrote in a New York Times essay that when a woman takes on these chores, she is not seen as a better employee. 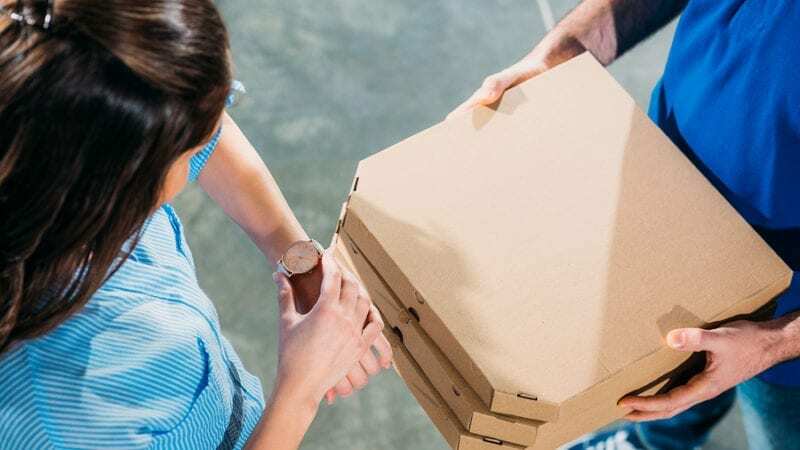 However, an NYU study found that when men performed some of the same work-related tasks, they were rated 14% more favorably than their female counterparts. The simple definition of low promotability is any piece of work that won’t generate anything for you, but which still needs to be done by someone. These include tasks like organizing the office holiday party, agreeing to train new employees, or helping to clean out the supply closet. There’s obviously a wide array of what these sorts of things could be depending on your industry, but a task with low promotability is basically anything that improves your work environment without necessarily leading to more money or a better work review. This can have serious consequences when it comes to promotion and advancement, and negatively impact gender balanced leadership. If women are disproportionately stuck with menial tasks that have little visibility or impact, they’re much less likely to gain the attention or responsibilities they need to advance. Even if you’re better at a task or more willing to do it, stop and think, are you allowing your biases about yourself and others keep you from advancing as you’d like. Educate yourself about what your industry and your company values as promotable qualities and choose to develop and show your capabilities at doing those instead. Studies of industry and academia have also shown systematic gender differences in how work is allocated, continuing to show how women spend more time than men on non-promotable tasks. 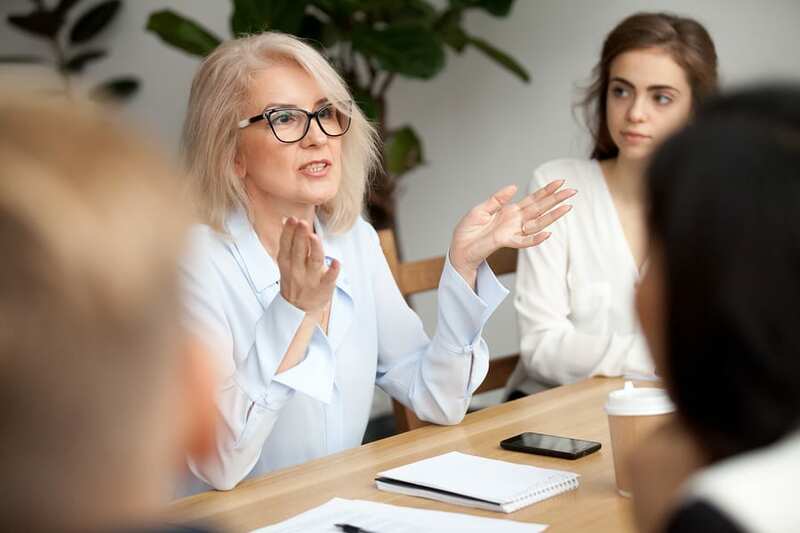 These differences may explain why, despite the advancements that women continue to make, we find vastly different trajectories to leadership positions. Changing this dynamic and the division of non-promotable tasks has to become a top priority for organizations of all sizes. With most of these tasks automatically falling to women it serves as an example of both external and internalized sexism. Sure, a woman can just say “No” or call out the bias as it occurs. However, it might be more effective to shed some light on the big picture for the department or companywide. By doing so, suggestions on how to address the issue can come from women and men in all positions, and hopefully, move the organization towards change. Whether putting tasks on rotation, setting up a sign-up board with no repercussions, or fully engaging men in the company, once a system is in place, the tasks will not continue to be so disproportionately distributed. When we identify things that are broken in the workplace and work together to fix them, we get closer to parity. Study after study has proven that today’s businesses gain when women join the top levels of the organization. Let’s commit to doing everything we can to help them get there. And let’s start today. With so few women in the C-suite and upper management, many women say their best mentors and allies have been men. New research shows that their mentorship can help, and the prospects for female CEOs are greatly improved by an assist from the outgoing CEO. The authors of the research studied every large company CEO succession between 1989 and 2009 in which a woman was named to the top spot and found that women CEOs do well when they are promoted from within, following a long period of grooming by their predecessors, who are mostly male. 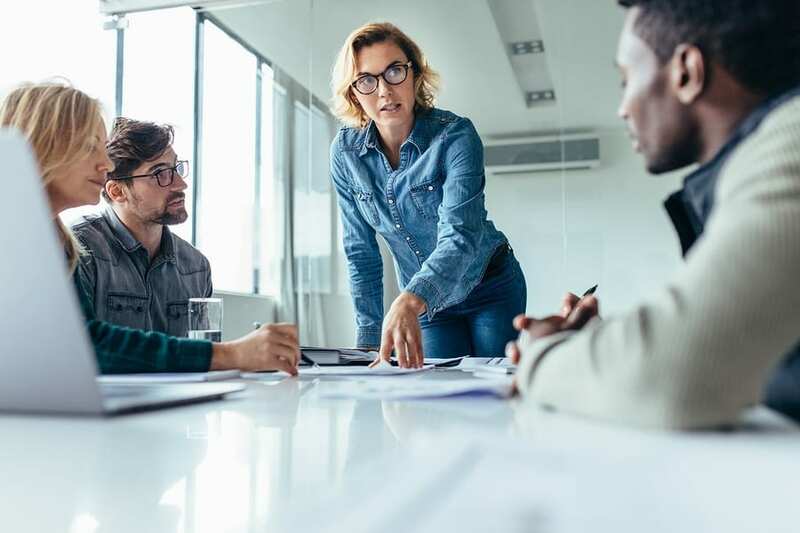 Leigh Buchanan writes in Inc. Magazine that the actions of the predecessor CEO have an impact on women leaders for two reasons, “First, the predecessor has an unmatched opportunity to mentor and sponsor female high-potentials. Second, the predecessor sets the context for a woman’s elevation.” This grooming and support is the ultimate vote of confidence and not only serves to downplay concerns, but also demonstrates the company’s willingness to embrace an inclusive culture. Why should men want to step up and help us succeed? Well, today men have a bigger stake in women’s equality than in the past. They count on the financial contribution their wives make to the family economy, and they were likely raised by women who worked. They also want their daughters to succeed and will express outrage when the women in their lives encounter discrimination or barriers at work. Be Heard – if a woman is interrupted, interject, ask them to finish, and further contribute to the conversation. Lead – give them chances to lead projects or manage others. Take Credit – make sure credit is given where credit is due, and don’t let women push their accomplishments to the side, or let someone else claim it. Combat Bias – whether it’s blatant sexism or unintentional bias, when you notice an injustice, call it out. Advance – recognize the competence, legitimacy, and status of female colleagues, look for ways to mentor or sponsor them, and help them advance. Women have a lot of momentum right now, and we can use that in our work towards equality and advancement at all levels, especially when we have the help of our male counterparts. And men do not have to give something up for women to gain visibility at work. In fact, many of them will benefit. We all know that the data is showing that today’s businesses gain when women join the top levels of the organization. It’s in all our best interests to make our companies as productive and profitable as we can. That’s why we all need to work together to change the status quo and make a real, daily commitment to a more balanced diverse management and workforce.